Do you want a job that requires you to know and share secret government information? If so, you will require a security clearance. A security clearance depending upon the level of secrecy of the information you will work with will require a lie detector, a special background investigation (SBI), and criminal and financial background checks. One cannot simply apply for a Security Clearance. Applying for a clearance requires the applicant to be working for a government approved contractor, holding political office, or working with some government entity. For you to even apply, this entity must sponsor you. There are no individual applications for a security clearance. The Standard Form (SF) 86, Questionnaire for National Security Positions, is the form that is used by military personnel, government contractors, and government employees to apply for a Security Clearance (CONFIDENTIAL, SECRET, TOP SECRET). The new form SF86 Electronic Questionnaire for Investigation Processing (eQIP) use a computerized version of the Security Clearance Questionnaire, but it contains the same questions and information as the SF 86. The Standard Form 86 (SF 86)/ (eQIP) is an online form and provides general information about completing the form and where to get help if you need it. The Security Clearance Form, and its equivalent electronic version (eQIP), have evolved over the years and the latest version was revised in December 2010. Be completely honest when answering all of the personal and business questions. Completely honest is defined as "do not lie when answering the direct questions, but you also must not have lies of omission." If you leave critical people, contacts, places you have lived or visited, foreign business conducted, or other ties to foreigners or foreign governments, you will likely be denied your clearance. Or your clearance will require further scrutiny and could be significantly delayed - even up to a year or more. Until you fully explain your foreign dealings, the government can restrict your ability to access classic information which may prevent you from doing your job depending upon the job requirements. If necessary, provide any explanation for how you answered a particular question in the comments or continuation section. When in doubt, provide an explanation. Please list not only your current spouse, fiancé, or cohabitant of a romantic nature, but also any former spouse(s); also include in-laws. You must provide your residential addresses for the last 10 years, do not leave any gaps in time. If you split your time between multiple residences during a time period, you must list all residences, not just the permanent address. This is why you need to make copies. If you have moved several times, this list can get long. You may require much of the same information in the future as higher clearances are sought. You are not required to list temporary locations of less than 90 days that did not serve as a permanent or mailing address. If a residence was in an apartment complex, include the name of the complex and the unit number. If your name was not on the lease, then include the name of the individual who was on the rental or lease agreement. Also, include residences while in college. However, if these temporary residences are with foreigners or in foreign countries, you must add those details. You must provide your employment history for the last 10 years, do not leave any gaps in time. List all full or part-time employment, in chronological order. If the government or a large organization was your employer, identify the specific department, bureau, division, section, or unit where you actually worked. Physical addresses, not post office boxes, are required so our Regional Security Officers can properly locate your residence. If you have spent time overseas, provide references who are in the United States now and who can corroborate or verify your overseas activities. If necessary, this information can be added in the continuation section of the SF-86. 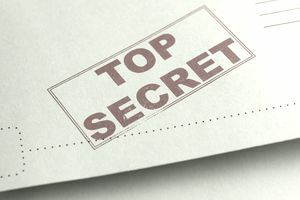 The Department of Defense, National Security Agency, and Office of Personnel and Management (OPM) handle many of the security clearances throughout the government. The OPM works in several broad categories to recruit, retain a world-class workforce for the government. The OPM also conducts background investigations for prospective employees with hundreds of thousands of cases each year. For more information consult the Defense Security Service website. Will Past Marijuana Use Keep Me From a Security Clearance?